Making friends in your 50s and beyond isn't nearly as easy as it was when you were young. School and work provide the perfect opportunities to meet and interact with new people. Once you've retired, you might not have access to a robust social network. And if friends and family have moved away, your social circle can shrink even more. Take up a hobby. Do you like to knit, paint, play bridge, or sing? Join a knitting club, take a painting class, join a bridge group, or audition for a chorus or musical in your area. Whatever your interest, there is likely a club for people who share it. Look to your local high school, colleges, community center, and senior center for programs tailored to your favorite hobbies. You can also try MeetUp (www. meetup.com), which matches people with local groups that fit their interests. Join a gym. Many YMCAs and fitness centers offer classes like water aerobics, yoga, and stretching. If you take the same class with any regularity, and you're open to starting conversations, you'll eventually get to know your fellow fitness enthusiasts. Attend a local church, synagogue, or mosque. If you're spiritual, your religious institution is the perfect place to get to know people in your community. Take advantage of potluck suppers and other get-togethers where you can mingle. Volunteer. Pick a cause that's important to you. Offer to assist with a local politician's re-election campaign. Work in a soup kitchen. Help children learn to read. Or volunteer at your local pet shelter. Get a part-time job. Working gives you the opportunity to earn money while you make social contacts. Use your past experience to find a job in your previous field. Or simply do something you enjoy, whether it's selling clothing part-time in a local boutique or teaching continuing education classes. Simply joining a club or adopting a cause isn't going to instantly produce a circle of new friends. You have to actively engage with those around you. Be willing to go out on a limb and introduce yourself to someone new. When you do make a connection with someone, foster it by reaching out to the person on social media or email and making firm plans to get together. 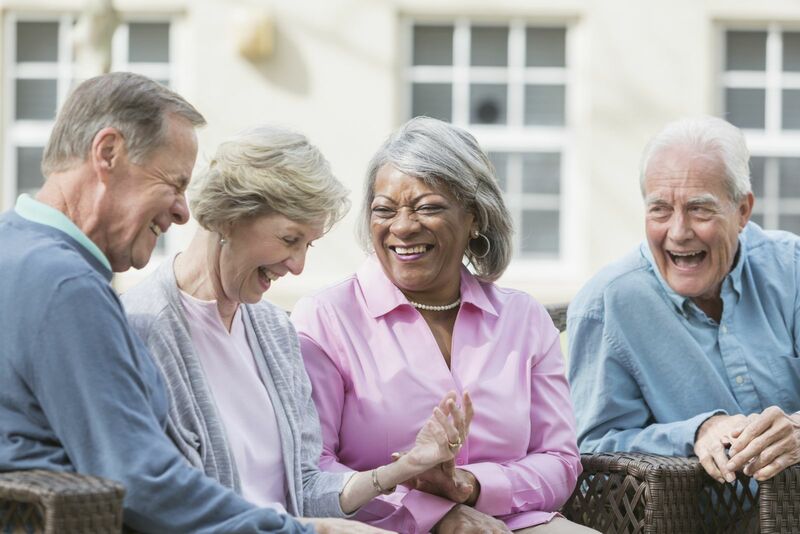 To learn more about issues we all face as we age, read Aging in Place, a Special Health Report from Harvard Medical School.